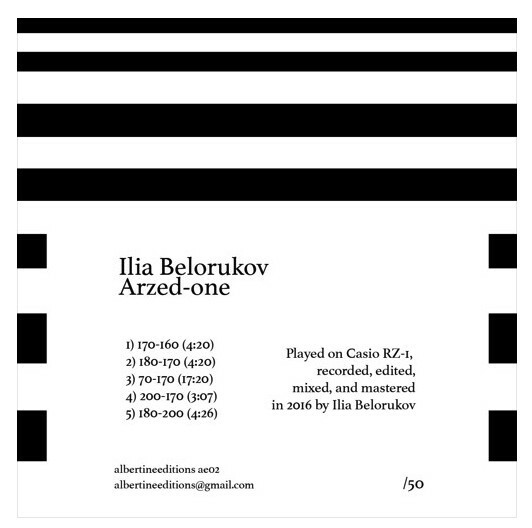 Four releases involving Ilia Belorukov. Wozzeck is a power trio, kind of, with Belorukov on synth and computer, Mikhail Ershov on bass guitar and Konstantin Samolovov on drums. 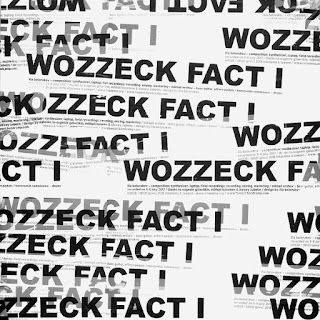 'Fact I' is a vinyl release comprising one 36 minute piece. It bolts from the gate with a hard-driving, lurching mass of music that strikes me as a blend of aggressive prog and late 80s thrash bands--mid-70s Crimson funneled through Pantera. The music is pounding and bracing, a disturbing siren-like whine circulating within the onslaught. Then an odd thing happens. 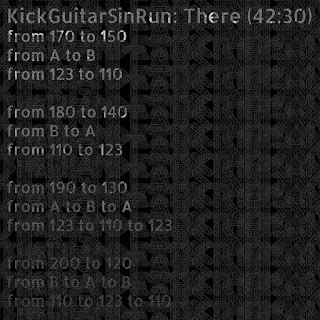 About nine minutes in, the storm begins to fragment, the rhythms becoming blockier, the whine accompanied by others--things get (intentionally) confused. From here, the music sublimates, traveling from the initial "solid" state to an increasingly gaseous one, all vague, quiet tones and blips, isolated bass plucks, distant, obscure voices. Some songs, a hymn. Eventually almost nothing but the quietest of cymbal taps. A good idea, finely executed--nice job. 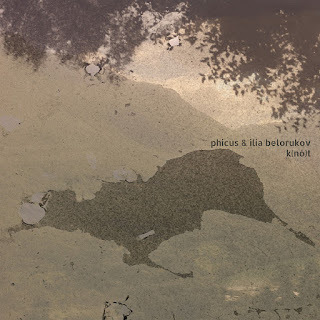 Here, Belorukov, on alto saxophone, teams up with the Spanish trio Phicus (Ferran Fages, guitar; Alex Reviriego, double bass; and Vasco Trilla, drums). 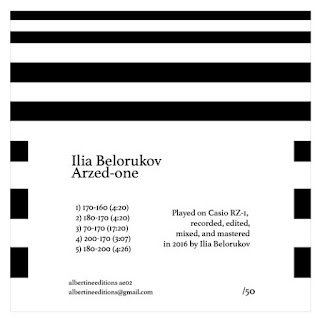 The four pieces, improvisations' are pensive and groping, nicely subdued and investigatory. Occasionally, one of the musicians comes a bit to the fore, as Reviriego does on 'Gordian Knot', where he's brilliant and dark in a manner that recalls primo Haden. Trilla also has a fine way with vibrating bell-like tones, judiciously applied. The whole album has an aura of somberness about it but also a strong sense of curiosity, of quiet excursions into uncertain territory. Not much else I can say except that I found it very satisfying and would recommend it highly. Two releases, the second a DVDr with links to an online video, that showcase another very different facet of Belorukov's music: beats. 'Arzed-one' uses a 1986 Casio RZ-I drum machine and only six factory-installed sounds at that: kick, snare, open/closed hi-hat, clap and cowbell. 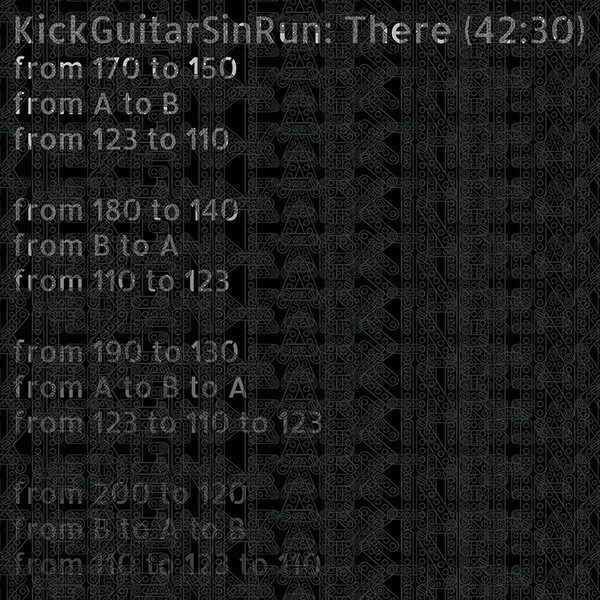 The track titles,--for example, '170-160'--indicated the bpm range as, if I understand correctly, Belorukov slides gradually from one to the other. He writes that at high beat rates, he experiences the resultant sound more as a drone than as beats and that the gradual shifts create "unexpected relationships between sounds". Admittedly, this is a hard sell for me as I find the essential sounds and the associations with them that have built up over the years, to be more or less uncompelling. Then again, the almost entirely hidden hums that manifest (perhaps as a sonic artifact) can indeed be heard to fluctuate as the beat rate rises or falls, providing at least something of non-superficial interest (probably best experienced via headphones). More science experiment than deep sounds? You can be the judge. 'There & Back' takes the same basic idea--shifts in bpm--but a) re-locates the sounds to a distorted electric guitar (Pavel Medvedev) in addition to (lighter) computerized beats and b) adds video of a dancer (Daria Plohova in 'There' and Anna Antipova in 'Back'). They're filmed head on, in black and white, running in place in rhythm to the beats. They're intriguing exercises (also impressive physical ones as each runs about 43 minutes) and it's borderline fascinating to watch the variation in, especially, arm movements as they go from crisper at higher beat rates to more languid and, in context, almost carefree swaying during the slower periods. An odd kind of near-minimalism, somewhat hypnotic. How can I ever stop thanking Dr William for the great deed he have done for me, i got an accident when I was 27 years old, from that day on i started experience ringing ear (tinnitus) i have taken all the western drugs prescribe by various doctor but to no avail my tinnitus was very loud in the afternoon and I sleep less at night because of this problem i stop my work, few days later i was going through the Internet and I saw a post of so many people testifying about Dr William herbal remedies on how they was being cure for over many years suffering from tinnitus the story Really motivated me that I have to speak with my husband about it, and he said i should give him a try, i contacted Dr William and explain all i have be facing in my life. He assured me that everything is going to be fine if only I can get his herbal portion, i said yes and I requested for it, few days later the herb was sent to me in Kuwait,i started using it as instructed by Dr William for me to take it for 21 Days which I did, can you imagine after talking Dr William herbal medicine for just two weeks i started experience results, it was like a miracle,and now i am permanently cure from this terrible tinnitus, i promise that am going to publish his herb on thing my last breath for the great deed he have done for me. For those with similar ear problem should please contact him on his email address drwilliams098675@gmail.com his a good man and am proud of him. I am Shelley from Los Angeles,California, I want to testify on how i got cured from tinnitus, I have suffered from ringing ears since the year 2011 with so mush pain,that i have to spend so mush money getting pain relief in the hospital, and I have visited several doctor ,but all to no avail, my world was gradually coming to an end because of the buzzing sound in my right ears, until i saw a post in a health forum about a herbal Dr Williams who use herbal portion in curing people from different kind of diseases including tinnitus, at first i doubted if it we be able to cure me, but i decided to give it a try, when i contacted this herbal doctor via his email, he prepared a herbal portion and sent it to me via courier service, when i received this herbal medicine, he gave me step by step instructions on how to apply it, when i applied it as instructed, i was completely free from tinnitus just for 1 months of usage,i we recommend this to all my friend family in the world today who still suffering from tinnitus you can contact him through his email on drwilliams098675@gmail.com for help.